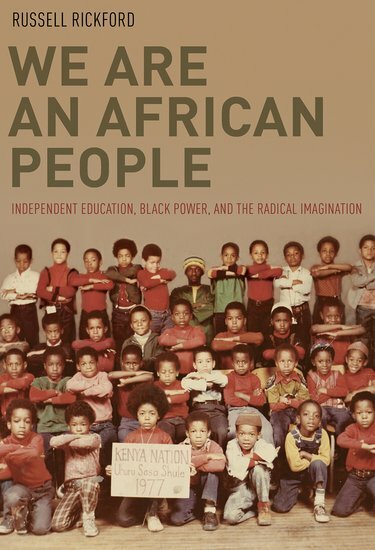 This is the fifth day of our roundtable on Russell Rickford’s book, We Are an African People: Independent Education, Black Power, and the Radical Imagination. We began with introductory remarks by Reena Goldthree on Monday, followed by remarks by Fanon Che Wilkins, Ashley Farmer, and Ibram X. Kendi. In this post, Derrick White praises Rickford’s book for highlighting the tensions between the political imagination of Pan African nationalism and the pragmatic concerns of building a school. Derrick E. White is currently a Visiting Associate Professor at Dartmouth College. He is the author of The Challenge of Blackness: The Institute of the Black World and Political Activism in the 1970s (University Press of Florida, 2011). He is a scholar of modern Black history, sports history, and intellectual history. He co-edited Winning While Losing: Civil Rights, the Conservative Movement, and the Presidency from Nixon to Obama (University Press of Florida, 2014) with Kenneth Osgood. He is working on two projects. The first is Blood, Sweat, and Tears: Sporting Congregations and Black College Football at Florida A. & M. University, which would be the first scholarly analysis of Black college football. It seeks to show how FAMU built a football program behind the veil of segregation, while receiving unequal material resources from the state. FAMU also serves as a node to examine the larger issues facing Black college athletics in the twentieth century. The strategies employed, and challenges faced by the Rattlers were emblematic for all HBCU football programs. The story of FAMU reveals the history of Black college football. The second project—Making a King: The King Center, Historical Power, and the Contested Terrain of Martin Luther King’s Legacy—explores the intellectual and institutional strategies the King Center used to establish King’s broad popularity and to combat oppositional interpretation. This history demonstrates that what scholars have called the “post-civil rights” era is more a product of historical power, than chronology. 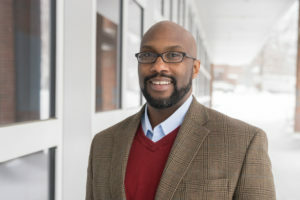 Dr. White has published articles in New Politics, The Journal of African American History, the C.L.R. James Journal, the Journal of African American Studies, and the Florida Historical Quarterly. He occasionally tweets @blackstar1906. Russell Rickford’s We Are an African People: Independent Education, Black Power, and the Radical Imagination makes a significant contribution to the growing field of Black Power Studies by examining the creation of independent Pan African educational institutions that “paired separatist impulses with strains of radical internationalism and anti-imperialism.”1 The founders of these parallel, private schools attempted to concretize Black Power’s idealized goals of self-determination and Black consciousness. Rickford’s tremendously researched book identifies nearly forty schools nationwide whose curriculum was rooted in Pan African Nationalism. 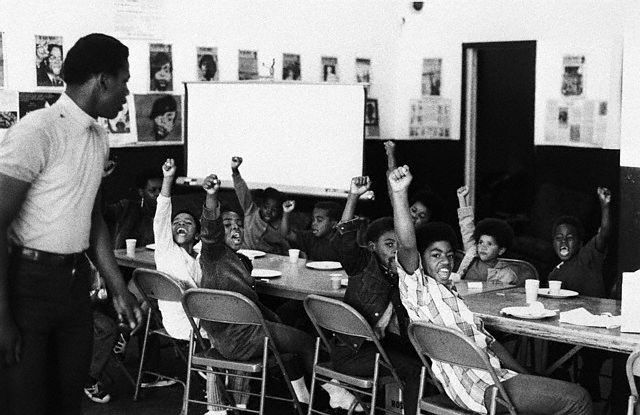 We Are An African People reflects how scholars of Black Power have begun to move beyond the manifestos, charismatic leaders, and defining battles with white supremacy to pay more attention to the praxis of Black Power. Here, Rickford joins a growing number of scholars who have looked at the manifestation of Black Power on the ground over the last decade.2 His focus on what he calls “Black Power’s afterlife” especially in K-12 education is a welcomed addition to Black Power Studies. The implementation of independent schools revealed varying interpretations of self-determination, none of which were totally cohesive. The lack of unity in Pan African independent education was exacerbated by the small numbers of students and the constant state of financial insecurity. Rickford’s analysis of these tensions is important for our understanding of Black Power. We are An African People is at its strongest when it outlines the contradictions emerging from Pan African ideology and pragmatic concerns. This book provides a valuable lesson about the contradictions that ideology can impose. Still, Rickford’s apt critique of right leaning Pan African nationalism leaves us with additional questions. How is the radical imagination connected to finances? Or is the radical imagination viable when it follows what Derrick Bell calls interest convergence? 5 Are the boundaries for Pan-African independent education community control, self-esteem, and neoliberal reform? Was the decline of Black independent institutions a product of “the exhaustion of ideas” resulting from activists not “developing new, relevant political directions and practices alongside the rank and file” or as Sylvia Wynter suggests, “the systemic devalorization of racial blackness was, in itself, only a function of another more deeply rooted phenomenon”? 6 Rickford’s wonderful text pushes us as scholars and activists forward by forcing us to grapple with the pragmatic parameters of radical imagination. It’s been a wonderful and educational week! Thanks very, very much!